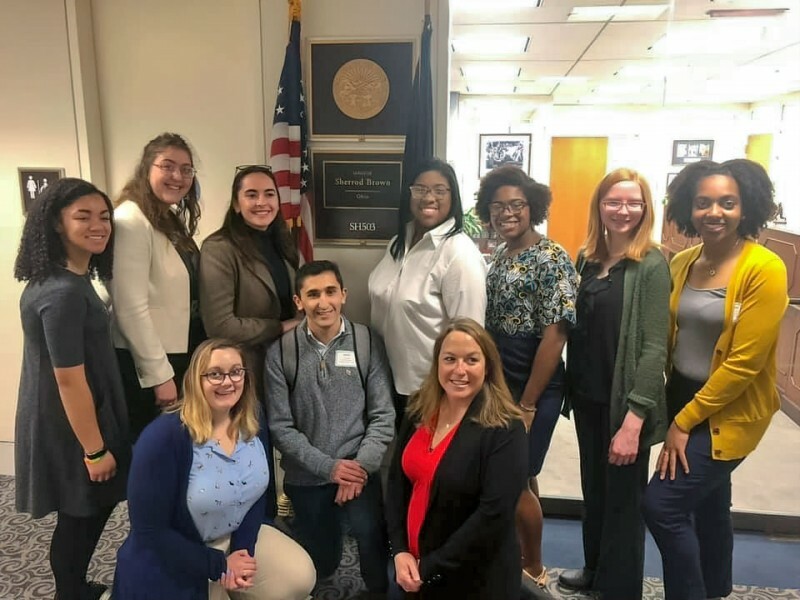 Nearly 30 Ohio Wesleyan University students spent their spring breaks completing educational and service projects conceived and planned by their peers. The groups traveled between March 9 and 17, and gathered together March 26 to share images from and insights about their experiences. 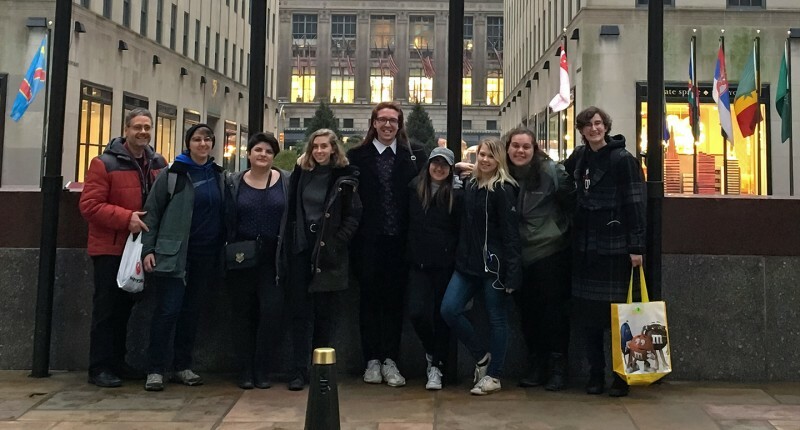 This interfaith team engaged in the long-term mission to rebuild Lakota-Anglo relationships through respectful conversation, deep critical reflection, and dedicated service on the Rosebud Reservation. 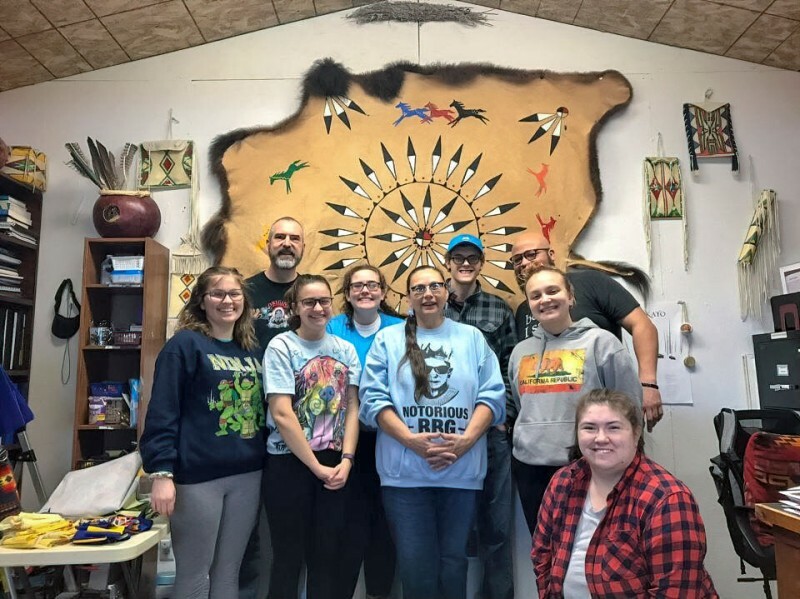 Their work was impacted by a prairie hurricane that left many roads flooded and impassable, but their efforts including painting a teepee and making quilts for newborn children. This team worked with Human Connections, an organization that specializes in cross-cultural immersion with an eye toward growth and learning for all involved, in Bucerias, along Mexico’s Pacific Coast. 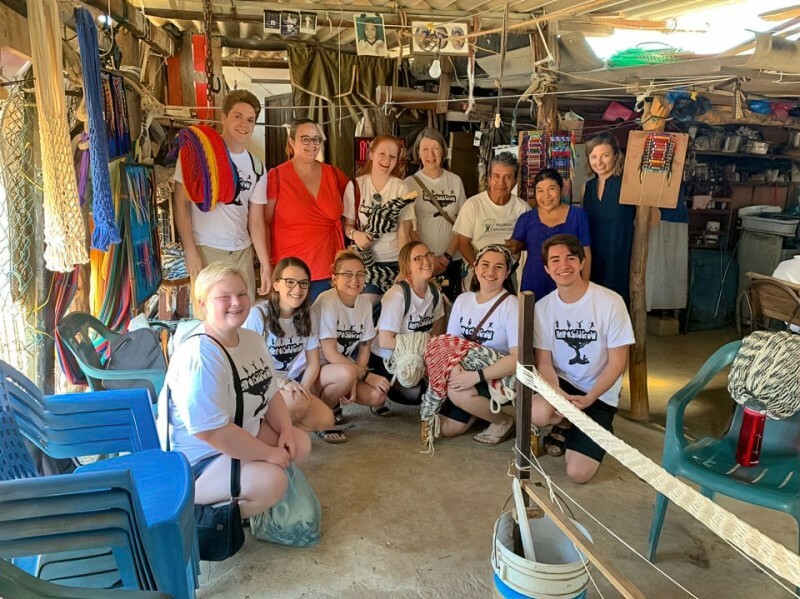 The group explored sustainable tourism, met with local artisans, and worked with community members, including teaching classes to area children. This team completed service with Metropolitan Community Church of New York and the Pride Center of Staten Island to better understand the historical and current issues faced by gay, lesbian, bisexual, and transgender people, including issues of isolation, acceptance, urban poverty, and access to resources. Legislators with bills. Lobbyists with agendas. Politicians with ambitions. Activists with causes. Homeless people with needs. Immigrants with dreams. The nation’s capital is composed of all of these and more. This team explored the many facets of power and poverty, completing service and meeting with organizations and individuals trying to reduce poverty and improve lives. Learn more about Ohio Wesleyan’s Interfaith Service program at www.owu.edu/InterfaithService.